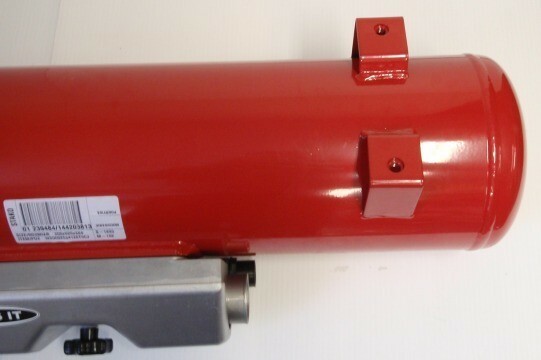 200mm Diameter x 25 ltr GAS IT Vapour tank with factory fitted feet for mounting requiring only 4 x M10 bolts & Washers for fixing through the Vehicles Floor. This size GAS IT tank comes with our unique fixed feet option which means you don't need a separate Strapped mounting, and it makes the tank installation easier and super secure using 4 x M10 bolts and 30mm washers. We also sell on our Webshop a simple OEM Specification Feet Mounting system should you need it, that allows easy removal of the tank in the future. We do have listed on our webshop the same tank with no fixing feeting for use with our standard strap tank mounting frame systems. This GAS IT Tank is fully NCC Code of Practice 306 Compliant for Motorhome vapour tanks installs. This tank come fully valved with the protective aluminium air box and is 200mm x 884mm in size ( not including the air box ). These refillable tanks are the quality 4 hole type as fitted by many OEMS around the UK and Europe. Please note the 200 diameter size is the size of the tank only and does not include the extra size of the valve box as seen in the picture. The feet are factory welded to the top of the tank and come fitted with 4 captive bolts fitted to them. These mountings comply with N1 & M1 for complience with UK and EU regulations.